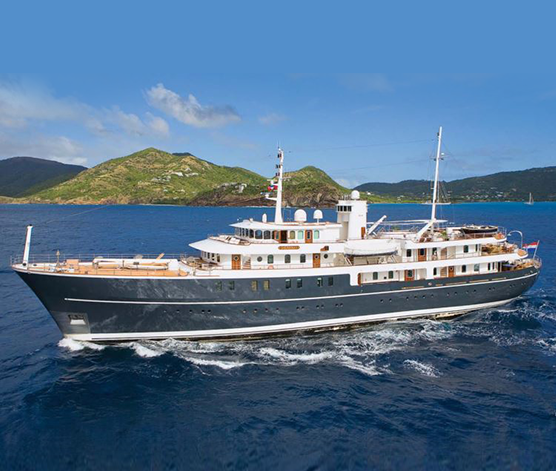 SHERAKHAN is one of the most impressive super yachts available for charter. 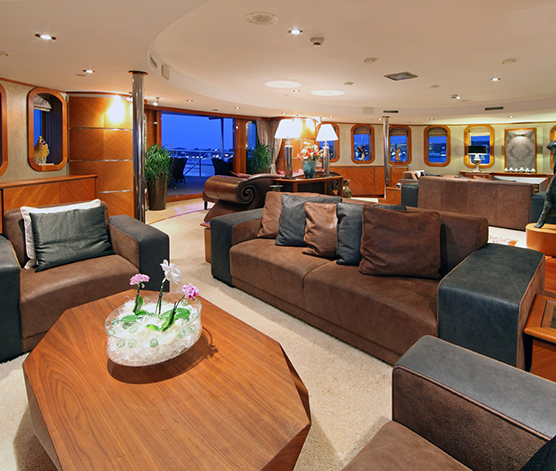 Her luxurious interior, décor and layout combines perfectly to give a feeling of grandeur and comfort. 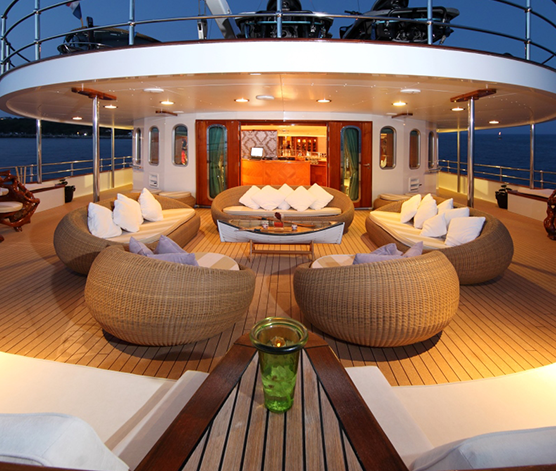 The added extras such as the glass bottom Jacuzzi and the themed cabins make this yacht one of the very best available for charter. On board the Sherakhan you will feel no vibrations and no sound of the engine. 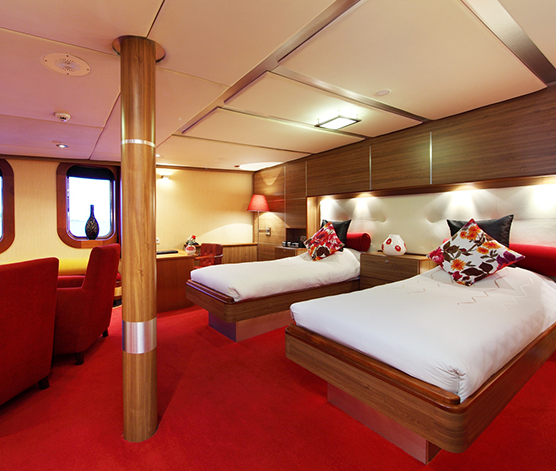 The ultimate stabilizers will make your stay even more pleasant. When you step into the main salon you will be surprised by the semi-modern and stylish interior. The main accent of glass and stainless steel gives a bright and fresh look. 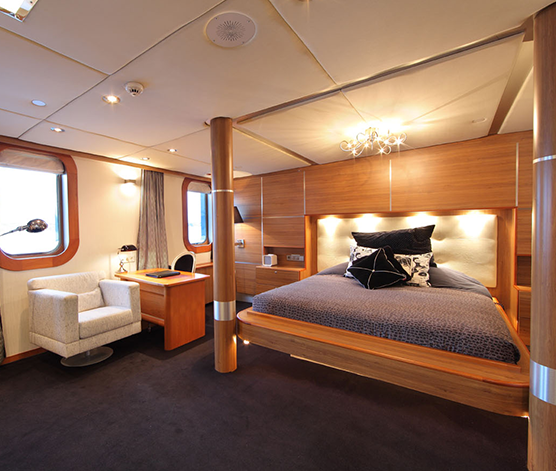 The handmade off-white wool carpet on board the Sherakhan encapsulates your feet during your stay inside the yacht while listening to the mini grand piano (made to order) or watching a movie in the lounge suite. 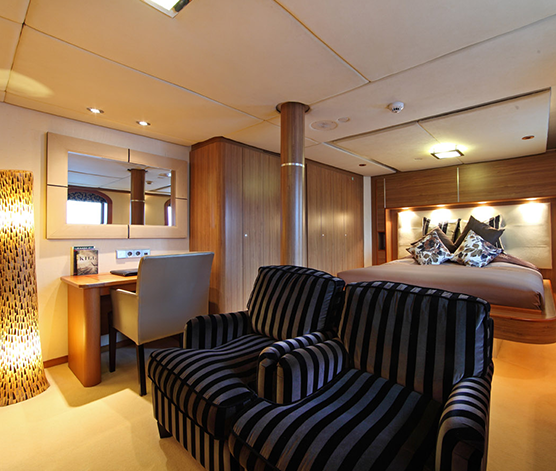 Dining in comfort is a fine art that has been perfected aboard Sherakhan. 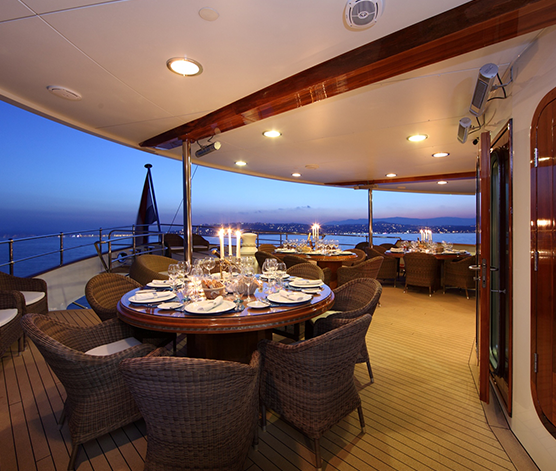 Formal dinners in the dining room for special occasions, luscious lunches around the aft deck tables or soirees under the stars on the sundeck. On the Sherakhan we take the culinary experience to a whole new level. Our chefs are highly trained to put all their passion into their cooking, using only the finest ingredients and tailor the menu to your wishes to spoil all your senses. 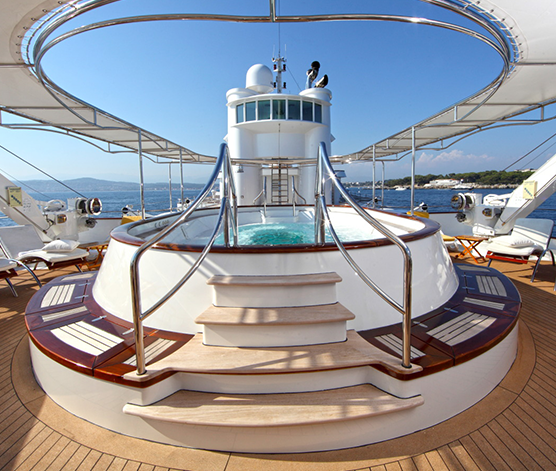 Exterior spaces for sun lovers (or shade lovers) abound – choose from sun loungers around the eighteen-person Jacuzzi with its magnificent custom built awnings or while the tender bays are lowered, her enormous foredeck is an ideal place to settle on sun pads.